This is a reminder to students who are using the Library to study for exams to please be considerate of the expectations around quiet study. 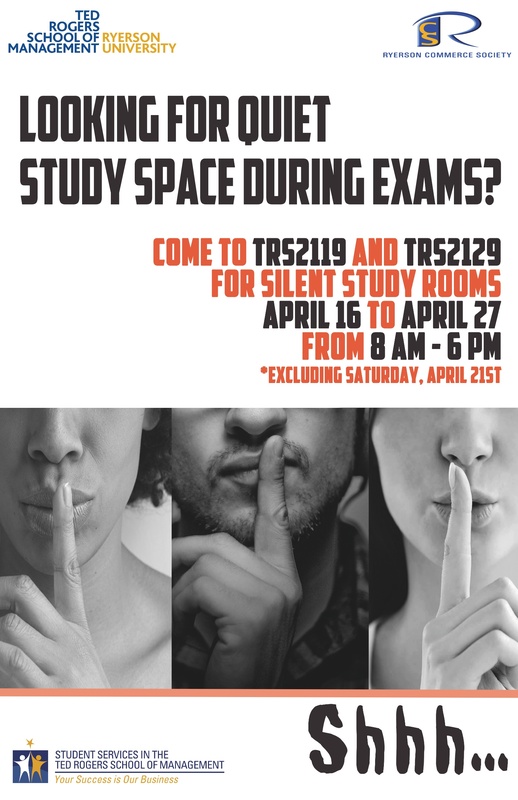 Quiet study is available on floors 6, 7, and 9 – on these floors, we ask for no talking or whispering, no group study, and use of cell phones elsewhere. The 10th floor is for silent study – no talking or whispering, no group study, no use of cell phones, minimal and quiet keyboarding, mute all audio and no eating. 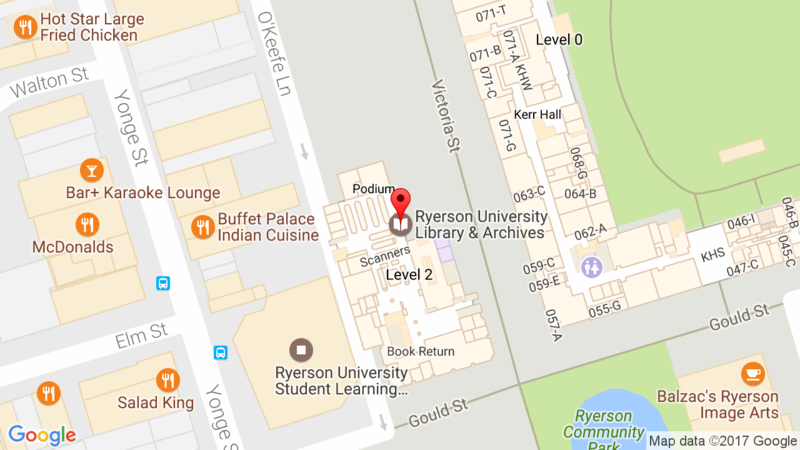 If you need to talk to your classmates, please consider booking a group study room, or relocating to floors 4 or 8. 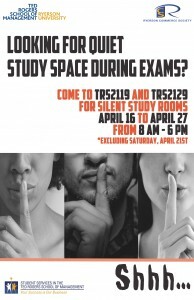 Additional signage has been distributed throughout the stack floors where we ask for quiet or silent study. If you need any more help selecting a study space, please check out the Where to Study directory in the lobby and on the stack floors. Looking for study space? Check out the Where to Study directory in the lobby, and also look for them on the stack floors. This directory gives you suggestions on where to go in the Library depending on what kind of study space you need. If you are looking for study space, please consult the guide first to make sure you are in the right place, so that you will not disturb others. The Library has floors which are designated for silent study (10th floor), quiet study (6, 7 and 9), and some which allow for group discussion (4 and 8). You can also book a group study room online. If you need to access a computer, floors 2 and 3 have the most workstations available. For quiet work with a computer, please use the lab on the 6th floor. Laptop loans are also available from the Circulation Desk.